Our Field Service team are seeking a highly motivated and customer focused Equipment Service Specialist (Lube Truck Operator) based out of our Laverton facility. 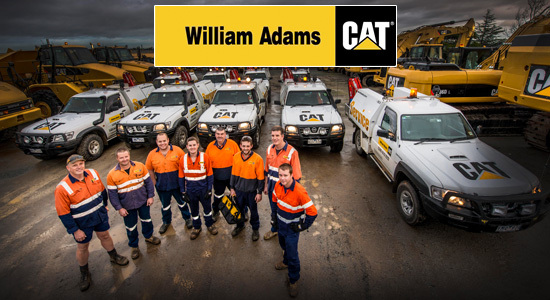 You will be joining an experienced and dedicated team where you will gain experience servicing a variety of mobile plant and equipment (predominantly CATERPILLAR equipment). This is a great opportunity to learn the ropes with the potential to progress your career into a Field Service Technical role down the track. In return you will receive a competitive hourly rate, mobile phone and laptop and work out of a fully equipped mobile truck or van. As a representative of the company, you will be the customer’s eyes and ears and be able to spot and report on emerging problems with the machines you attend for preventative maintenance servicing. If you enjoy a fast paced autonomous role, thrive on meeting your customers needs and see a future working and furthering your career with a professional Caterpillar Dealer, this could be the perfect role for you! We will reward you with a great range of benefits, including an employee assistance program incorporating personal legal advice, competitive banking packages with ANZ, discounts on CAT parts and merchandise, a CAT passport and much more.